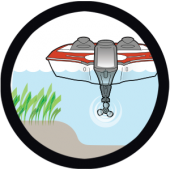 It’s all about learning good boating habits… and avoiding bad ones. 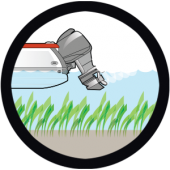 AVOIDWhenever possible, avoid seagrass beds and utilize navigation channels or deeper water while under power. This is probably the easiest way to prevent the damage and the most common sense-based approach to making a difference. By simply remaining aware of your surroundings and being mindful of where you are can go a long way. TRIMIf over seagrass beds in shallow water, be sure to trim your motor up and idle to a safe depth before getting on plane. Again, applying a little common sense goes a long way. In fact, trimming up your engine will not only prevent seagrass damage, it will also save you costly repairs to props and engine skegs in the process. PUSHIf aground, do not proceed under power. 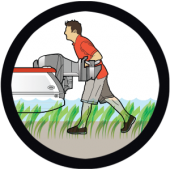 Turn off and trim up your motor, and while wearing protective footwear push the boat to safe depth. There will often be times when avoidance is impossible and trimming is not an option. In these cases pushing your boat helps you avoid both seagrass AND prop/engine damage. A short push is a small price to pay for what you’ll save.